I have added hundreds of HD, untagged (without the Disney Channel watermark) captures of Dove in her new Disney show Liv and Maddie. I have replaced the current, smaller, tagged captures with these. I have made and added new themes for BOTH the main site and gallery. 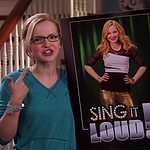 Both themes feature images of Dove from her new show Liv and Maddie. Let me know what you think about the themes, and please let me know if you come across any problems with them. I have added 104 HD captures of Dove as Holly Herkimer in the show Shameless episode 2×04 “A Beautiful Mess” (original airdate: 29 January 2012) and 20 HD captures from 2×05 “Father’s Day” (original airdate: 5 February 2012). I have added 3 high quality stills and 343 HD captures of Dove as Charlotte Jane in The Mentalist episode 5×02 “Devil’s Cherry”, which had aired on CBS on October 7, 2012. I have also added 141 HD captures of Dove in the official video for the Liv and Maddie theme song “Better in Stereo”. And hi, I’m Jen and I’m the new admin here at Dove-Cameron.org. I hope that I can be a good admin for this site. New layouts will be coming soon! In Tomorrow’s new episode of “Liv & Maddie” – “Steal-A-Rooney” After Liv has a difficult time making friends at school, Maddie steps in to help. However, when Liv discovers she was set up and didn’t make her new friend on her own, she ignores Maddie’s warnings and instead befriends a girl known for causing trouble. Meanwhile, Joey is miserable at the new job he has accepted in order to pay back his parents for a hi-tech cell phone. Tune into Disney Channel Tomorrow SUNDAY, SEPTEMBER 29 (8:00 PM – 8:30 PM ET/PT), to catch the brand new episode. Note: “Sleep-A-Rooney” Captures are coming! I have added to the gallery around 70 HD screencaptures of Dove in Disney Channel’s commercial “This Is Who I Am”. Don’t foret to check out in the gallery and Liv & Maddie airs TONIGHT on Disney Channel! In this weekend’s Premiere Episode of “Liv & Maddie” – Team-A-Rooney :: Maddie is named captain of the girls’ basketball team just as the school principal announces he is cutting funding for the program. Determined to change his mind, Maddie voices her concern to the principal, only to realize her team has abandoned her. Frustrated with her lack of leadership skills, Maddie turns to Liv to help her earn the team’s respect. Meanwhile, Parker and Joey are challenged trying to find a bevy of tarantulas that escaped after Parker brought them home from school unbeknownst to their mom. This new episode of “Liv and Maddie” airs SUNDAY, SEPTEMBER 15 (8:00 PM – 8:30 PM ET/PT), on Disney Channel. On August 2, Dove attended to the Olivia Holt’s Sweet 16 Birthday Party. I have added to the gallery 14 beautiful images of Dove. Dove shining in a beautiful blue dress. Hello everyone! I’m a new co-owner here at Dove Cameron Online, my name is Sole and i have another site Maia Mitchell Online. I have added to the gallery 8 gorgeous images of a new candid of Dove arriving at the Monsters University premiere, and 9 beautiful images at D23 Expo Photo Op with the cast of ‘Liv and Maddie’ on August 10. Don’t forget to check out in the gallery!